Through the looking glass: The ability to play racing games using your car's actual steering wheel is immensely cool and takes the term "racing simulator" to a whole new level. With a few additional tweaks, it wouldn't be a stretch to transform a Tesla into a true gaming accessory. 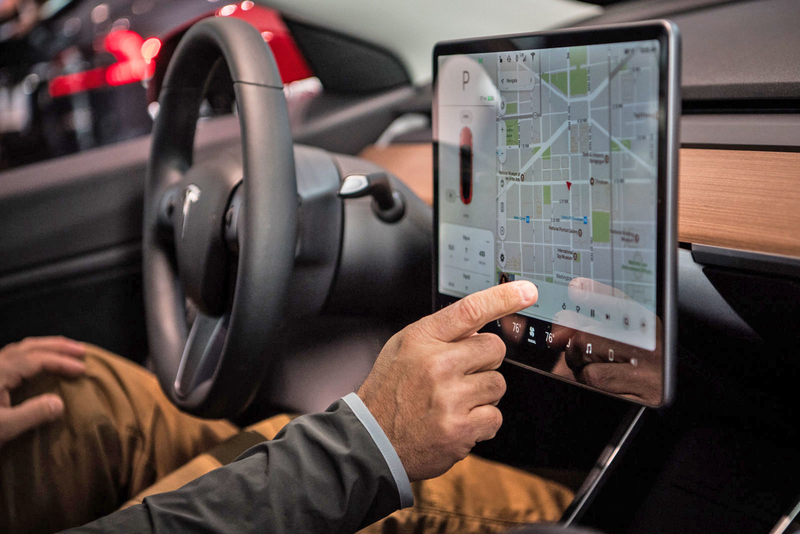 Tesla has a long history of adding Easter eggs to its in-car software and its next update looks to be the most ambitious – and fun – yet. Tesla CEO Elon Musk recently announced on Twitter that software version 9.0 will include some of Atari’s best classic games. Musk didn’t share the full list of games coming in the update but did say he hopes to include Tempest, Missile Command and Pole Position in the release. With Pole Position, a racing game originally released in 1982, players will use their vehicle’s steering wheel. No word yet on whether or not the pedals will come into play. Presumably, other games would be played using the infotainment center’s touch screen or maybe through a linked wireless controller. Perhaps Musk was inspired by the French car enthusiast that turned his Lamborghini Aventador into an Xbox controller to play Forza 7? While it’s easy to dismiss retro games as little more than a quirky Easter egg, Musk may be on to something here. Most modern infotainment systems now feature sizable displays and could easily support basic gaming apps.